Are You Prepared to Help Clients Buy or Sell a Green Home? Did you know that nearly 40% of home buyers consider energy efficient features to be "very important"? A 2012 study also found that green certified homes – with labels such as Energy Star or GreenPoint Rated – sold for up to 9% more than homes without a green label. Now is the time to gain a competitive advantage in this market and become your clients' go-to resource for buying or selling a green home with our new NAR Green Designation training! Build It Green has partnered with the National Association of REALTORS® to deliver trainings (fees waived thanks to the support of The Energy Network) to help California real estate professionals earn this certification -- the most recognizable national green certification for real estate professionals. Increase your knowledge to act as a trusted advisor to your clients on green real estate. Learn how to help buyers find a fixer-upper and transform it into a more comfortable home with lower utility and maintenance costs. Learn how to advise sellers on which green upgrades before a sale can boost a home's value. Learn how to help clients navigate our state's landscape of cash rebates, incentives, green certifications, and green financing necessary to achieve their goals. Learn how to market green and grow your business to attract new customers. To earn the NAR Green Designation, you must complete both days of training and pass an exam for each. 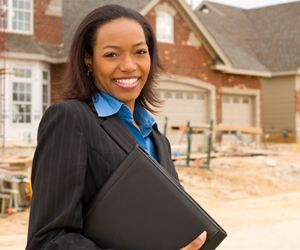 Go to our events page to read about upcoming real estate training. Do you currently hold Build It Green's Certified Green Real Estate Professional (CGREP) certification? Build It Green will continue to honor CG-REP certification with the only requirement to pay a modest annual fee to maintain certification and directory listing.